It's been a busy weekend, friends, so I'll just share some quick news. 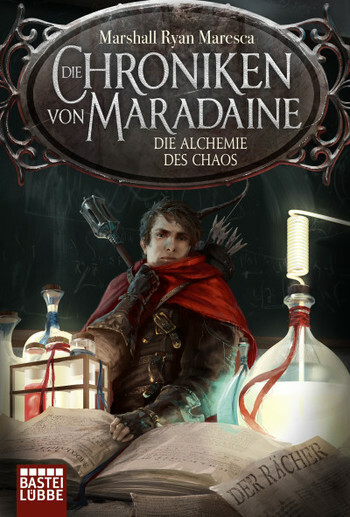 In a couple months we'll be getting the second German Maradaine novel, DIE CHRONIKEN VON MARADAINE - DIE FEHDE DER MAGIER. (i.e., A Murder of Mages). Well, now I can tell you that next February Bastei Lubbe will put out the third, DIE ALCHEMIE DES CHAOS. And it's got a pretty swank cover. Beyond that, I've got plenty of work to get to. Summer is around the corner.